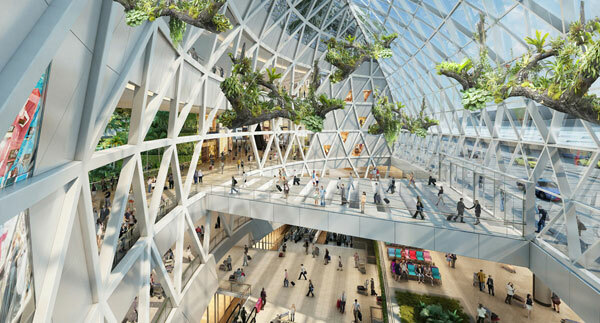 Jewel Changi Airport, a mixed use development in Singapore and its treasures of greenery, was presented by CapitaLand Mall Asia at MAPIC 2016 in Cannes. 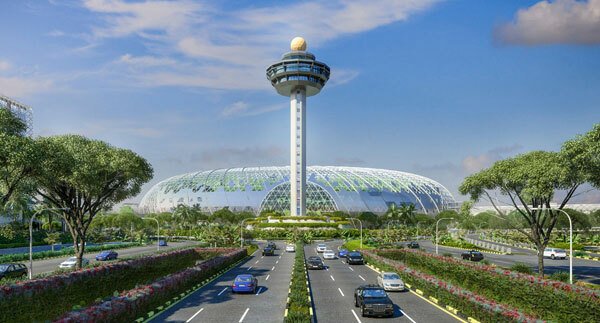 Jewel Changi Airport is a private airport, created by CapitaLand Mall Asia. 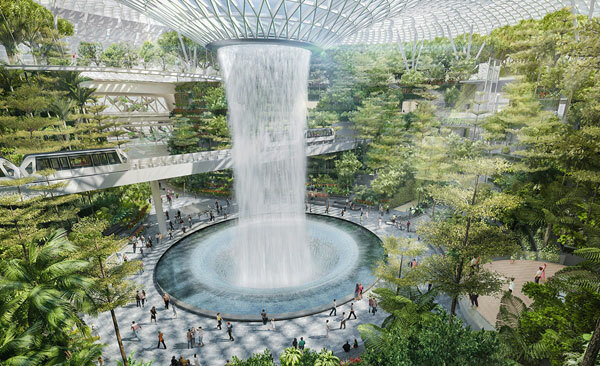 Designed by the famous architect Moshe Safdie as a unique fusion of lush nature and urban energy, the airport opens up to travelers and local residents alike a world of leisure, shopping and gastronomy. Jewel Changi Airport is the sixth most frequented international airport in the world and the largest in Asia with 66 million passengers in 2015. 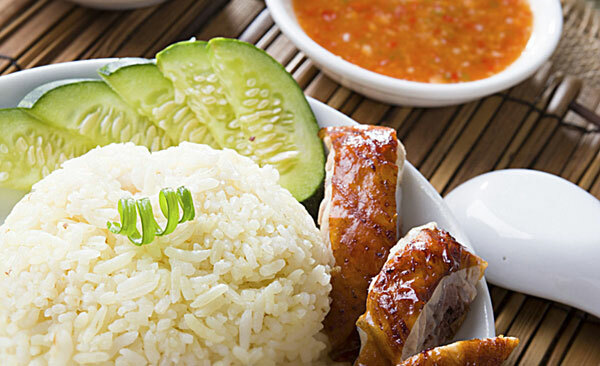 It is located in the heart of the garden city of Singapore, known for its skyscrapers, shopping, gastronomy (one of the best in Asia), its enormous harbor, botanical garden and rare orchids, world-renowned zoo, islands with tropical beaches and now, its Formula One Grand Prix. Connected to 300 cities and more than 70 countries, it is the nerve center of the regional air traffic and employs 40,000 people. Crowned with 500 international awards, it is considered a luxury destination in the world of air travel. Since the inauguration of the first terminal in the early 1980s, Jewel Changi Airport has continued to grow and innovate. The Terminal 2 opened in 1990 and the 3 in 2008. The Terminal 4 will open in 2017 and the planned Terminal 5 is expected to be achieved in the mid-1920s. It should accommodate an additional 50 million passengers for a cost equivalent to the cumulative investment of the four first terminals. The Terminal 5, which will be one of the largest terminals in the world, will be able to handle 50 million passengers a year in its initial phase, bringing the total capacity of Jewel Changi Airport to 135 million passengers per year when completed. The Terminal 5 will be connected to Terminals 1 to 3 to enable Changi Airport to operate as a single integrated airport without compromising the ease of transfer between terminals, the passenger convenience and operational efficiency of the aerodromes. The terminal will also be connected to Singapore’s Mass Transit (MRT) network. 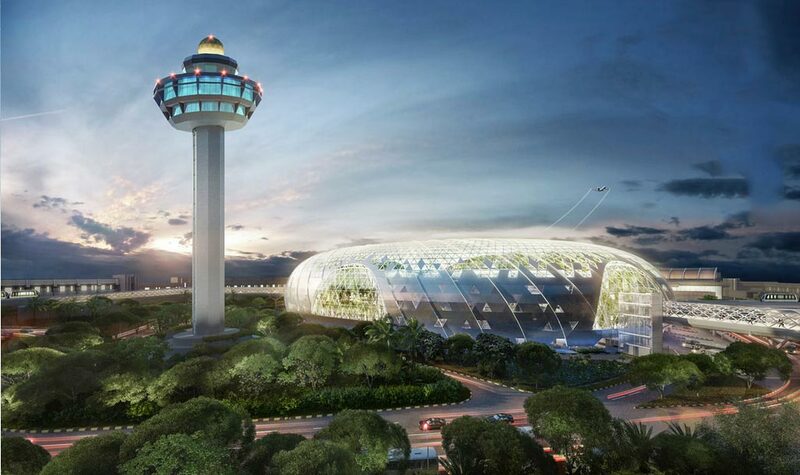 This new airport should be entirely built with public funds managed by Changi Airport Group. 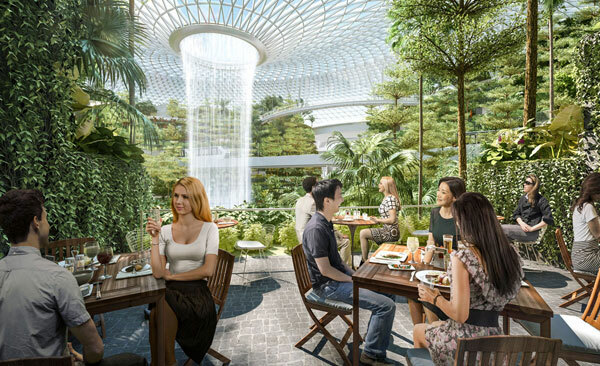 Jewel Changi Airport boasts a dazzling glass and steel façade that holds treasures of greenery. Under its inimitable domed façade, the complex includes indoor and outdoor gardens, a 76,000 m2 shopping center with 350 shops and 160 open 24-hour restaurants, cinemas, a hotel, car parks, a botanical garden, a greenhouse for butterflies, a waterfall, a thalassotherapy center and a swimming pool directly overlooking the airport tarmac. The airport is also home to one of Singapore’s largest indoor plant collections, with approximately 22,000 m2 of space dedicated to landscaping. One of these centers of interest is the Forest Valley, a five-storey garden filled with thousands of trees and other plants. 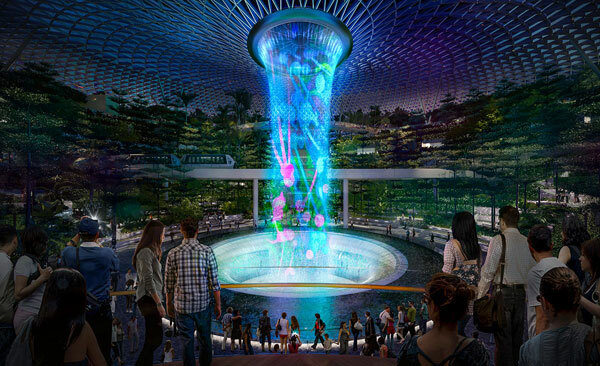 The other centerpiece is the breathtaking 40 meter high Rain Vortex, which is the world’s highest waterfall. 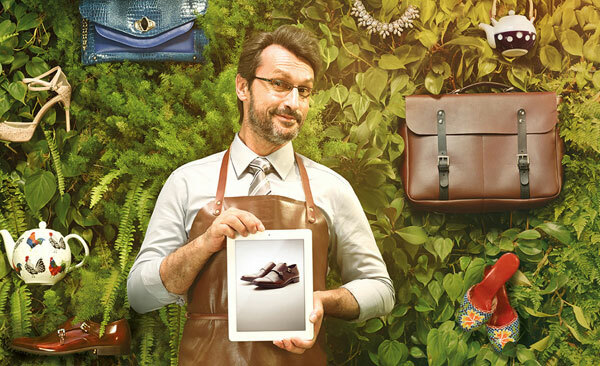 13,000 square meters are reserved for gardens, hiking trails and children’s playgrounds. Jewel Changi Airport is one of the destinations that offers a unique lifestyle for tourists and local residents who have become accustomed to family walks in weekend at this place of life.